Originally published August 4th, 2018, updated February 27th, 2019. 86.5 Million Americans have used an on-demand service. 45 Million US people have offered services in On-demand sector. 22.4 Million users annually spend around $57.6 billion on On-demand services. These are just a few validatory examples that prove how on-demand startups like Uber and Netflix have given birth to a market that both users and angel investors are partial about. What started with an on-demand ride sharing app has now extended into a number of different market segments ranging from grocery delivery to at-home maintenance services. 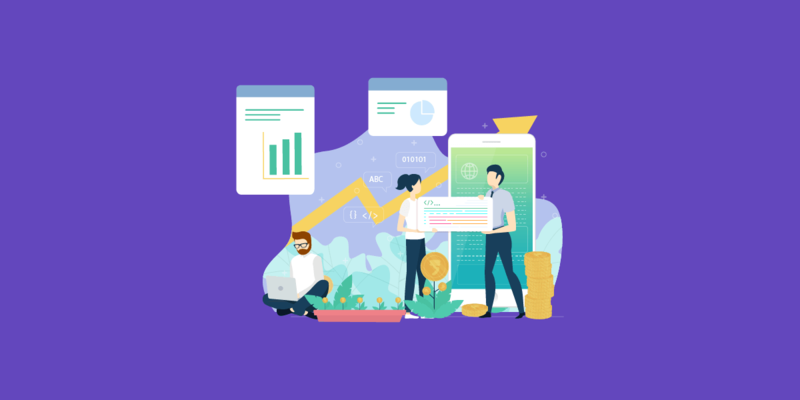 The present state of on-demand mobile app startup economy is such that no matter what industry you look into, you will find an active on-demand mobile app development company working to make it real – time. Now, even at a time when millions of mobile users are happily spending money to avail the perks of the convenient at-door service, there are businesses that are still on the fence when it comes to entering the on-demand market space. And the reason behind this is the notion that the on-demand economy has now become a bubble that is going to burst. But we have statistics that prove otherwise. The market that the on-demand industry has captured is growing progressively. The investors who couldn’t be a part of the trend when the uber economy was getting incepted but are now prepared to book their share. The investment rounds focused on funding on-demand startups that started in 2014 with $74 Billion reached $10,293 Billion in the last quarter of 2017 and only expected to grow by huge numbers by this year. According to the latest PwC report, the market for On-demand mobile apps and websites will reach a significant value of $335Billion by the year 2025. And, the CBInsight report of Global Unicorn Club revealed that 23 out of 310 private companies who valued at $1 billion by Jan 2019 belong to On-demand industry. These On-demand unicorns count for almost $203B in combined valuations, including popular rail-hailing startups Uber ($72B) and Didi Chuxing ($56B). Not only this, various other reporting houses have reported that On-demand industry is set to flourish in the coming years. And the same holds true for the growing number of user spends as well. The On-demand mobile app economy is prompting over 22.4 million users annually to spend around $57.6 billion to get real-time services and they are happy making the payment. Another report shared that 60% of the US users are ready to pay extra to get material delivered to their place on the same day delivery mode. The scenario gives a clear indication that businesses who are looking to add On-demand services into their processes will easily make more money compared to those who overlook this opportunity. Seeing the new buyer preferences, many retailers have also entered the On-demand mobile app economy to offer same-day delivery service. An outcome of which is that the numbers of retailers investing in On-demand have grown from 15 percent to 51 percent by 2018 – a number expected to hit 65 percent by the end of 2019. As per HBR, a major fraction of users embracing On-demand services – nearly 49 percent – are millennials. Whereas, 30 percent of the rest are of the age range between 35 and 54. Also, it has been observed that men are the top consumers of On-demand mobile app economy, constituting of around 55% of the total numbers. 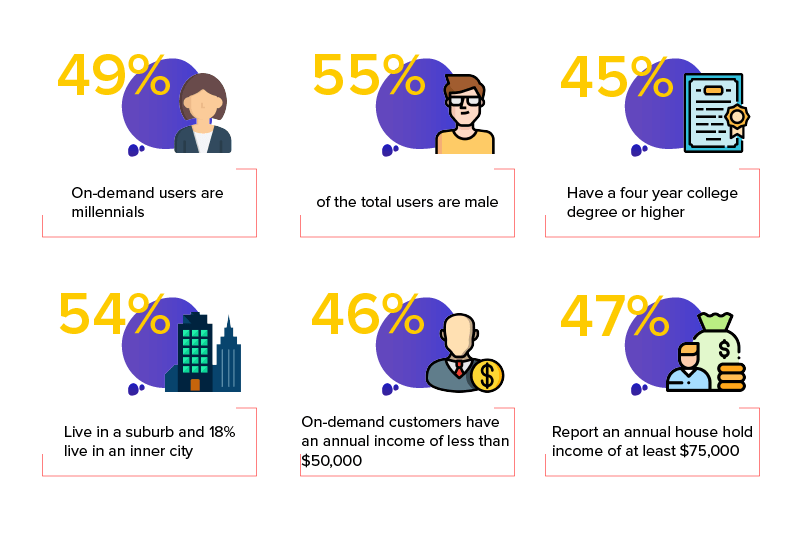 In addition to this, 46 percent of these users opting On-demand services are found to have an income of less than $50,000 annually. The On-demand economy model has also created new job opportunities. It has empowered students, workers, and others to embrace more flexibility into their processes and opt for projects/jobs for a shorter time interval. As a result of which, 70% of On-demand employees shared the sentiment that they are satisfied with their work and 63% admitted to being happier since the day they entered into On-demand economy. With this, we have seen how On-demand economy is disrupting the business world – making ‘real-time’ accessibility a crucial element of every business vertical. So, without making an ado, let’s look into what new will hit On-demand market in 2019. This information will help you to find better insights to look into how to succeed your On-demand business in the crowded app market. What Does 2019 Mean for the On-demand Economy? With the number of smartphone users about to hit 5 billion in 2019 and 45% of the US users already enjoying On-demand services, businesses will show more interest in finding answer to how to ride the uprising ‘Uber for X’ wave. They will realize that they can target a diverse range of consumers by investing in On-demand app development and earn hefty profits. In 2019, more businesses will pay attention to On-demand services which will bring intense competition in the market. 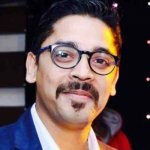 All will put more efforts into connecting their customers, understanding their needs, and providing them with customized services while working on their on-demand app’s performance level. In simpler terms, personalization will emerge out as the core element of On-demand economy in 2019. 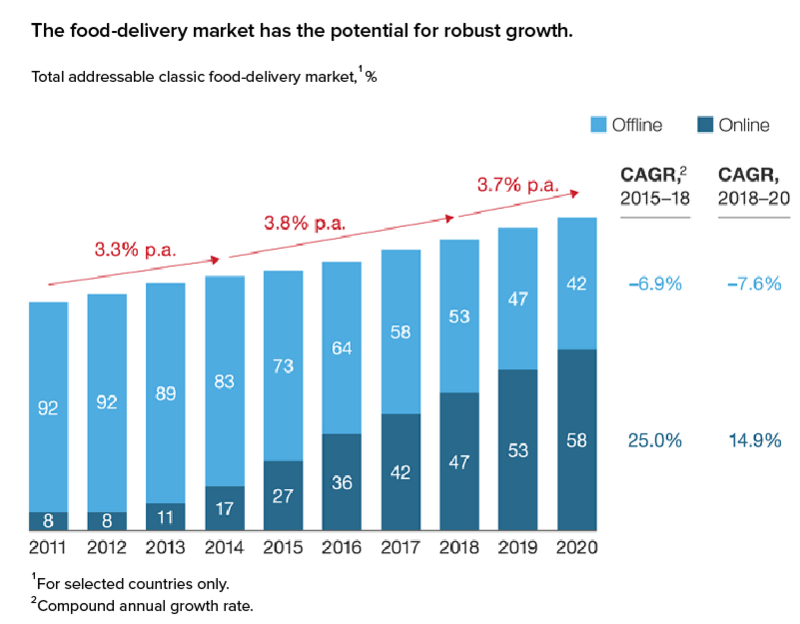 The on-demand food delivery business, which was majorly confined to popular locations like the USA, will enter the less considered marketplaces in 2019. And this will be possible because of the rise in mobile phone usage, urbanization, and employment. Considering the type of busy life we are having, home services system will gain higher popularity in the year 2019. People will ask for services like plumbing, beauty services, electricity, etc. in addition to delivery of food, grocery, and cabs. While these are some of the revelations that will come true this year, let’s look into what the future holds for On-demand ecosystem. It is undeniable how on-demand is changing the world around us, as we know it. No matter which business segment you belong to, chances are that someone in your industry would be thinking about investing in the on-demand market. And this un-altering demand for the on-demand services is not just the truth of the present day, the future has a similar story to share. The future of on-demand lies in a number of categories. Let us look at the major ones, which you should think of expanding your business portfolio into. This is an on-demand model that revolves around the local provisioning of services and goods. This ecosystem mainly operate within a few kilometer radium only. An example of this would be Roadrunner or Swiggy. Under this category, business ventures will look forward to making the user experience far more comfortable and memorable. They will focus on speed and quality and aim to provide multiple options to the users to keep them hooked to their services. Ever since Bird came up with their e-Scooters in San Francisco, the demand for e-Scooter app development has been on a constant rise. Brands are now looking to enter the segment that the investors are clearly partial about. More than 30% of the US citizens have extra space than they actually need and at least 40% of the citizens face the problem of lack of storage space. These on-demand apps are a solution to that. Using apps like Cuft, you can create a platform for people who need space to meet people who have it in excess and make the former use the space as a storage space. How Much Does it Cost to Develop an On-Demand Mobile App? When an on-demand app development company develops an on-demand app, they develop an app that caters to three people – the user, the person delivering the service, and the business. And, the UI and app flow is entirely different in all of them, which adds on to the How to Build a Successful On-Demand Delivery App to a great extent. Along with that, the category calls for a number of features inclusion like in-app payment, real-time sync, real-time tracking, chat support, rate and review support, and notifications, among many others. Since through one on-demand service app, a mobile app development company is developing three apps, the attached cost of the end on-demand mobile app is fairly high. Keeping everything into consideration, the creation of On-Demand Startup Apps like UberEats or Lyft would take somewhere around 2000 and above hours. Now, multiply this number with the average hourly hours, and you will have with you the cost of on-demand mobile service app. “How Uber Works? Breaking down the Uber Business and Revenue Model,�?